Look for or dreaming about your next golf trip? Select a region button or browse the whole section. Whether it's the greatest tee-time of them all at the Old Course St Andrews, Scotland or an Irish links golf odyssey that takes in Ballybunion and Lahinch, trust the golf travel experts to take care of your golf vacation of a lifetime in the UK & Ireland. Golf has been associated with St Andrews for hundreds of years. The first written record of golf in St Andrews dates from 1552: it is a charter, bearing the seal of the Archbishop of St Andrews, which confirms that townspeople had the right to play golf on the Links, which at that time were also used for activities such as football, livestock grazing and rabbit breeding! 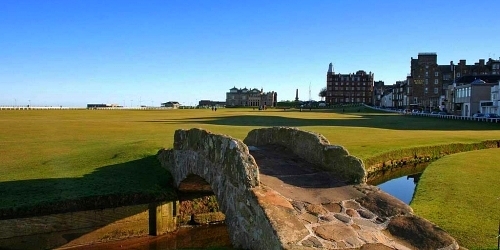 It is likely that golf had been played on St Andrews' Links long before that, as the sport was forbidden in Scotland by King James II nearly a century earlier, in 1457. Few things get the blood pumping like the mention of Donald Ross, Pete Dye and Tom Bendelow in the same sentence. Nowhere else in the world can a golfer play courses designed by each of these noted and prolific designers at one resort destination. 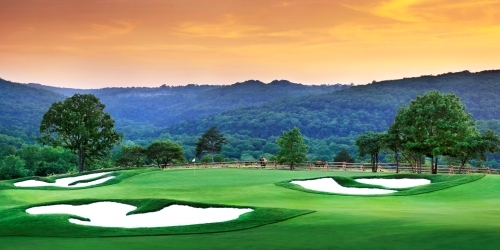 The rolling hills of southern Indiana provide a beautiful yet challenging golf destination. Playing golf in Indiana beats all other typical resort golf clubs. Come play a game and see for yourself! Located a few miles from Top of the Rock, Buffalo Ridge Springs Golf Course is an 18-hole championship course designed by renowned architect Tom Fazio. Named the #1 Public Course in Missouri by Golf Magazine and one of the Top 10 Missouri Courses by Golf Digest since 2001. Buffalo Ridge includes challenging approaches, water features and bunkers while incorporating indigenous natural-like native grasses and free-ranging buffalo from nearby Dogwood Canyon Nature Park. 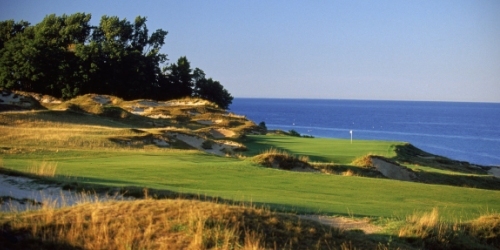 With 10 championship golf courses spanning 3 resorts - including three that are consistently named by Golf Digest among Michigan's top 10 courses you can play - BOYNE Golf provides the ultimate world-class golf destination. Centered in Michigan's northern lower peninsula, our 153 holes are the products of some of the game's masters including Robert Trent Jones Sr. and Arthur Hills, along with a single course replicated from some of the finest holes ever designed by Donald Ross. So whether you're planning a simple weekend getaway, or laying the groundwork for a once-in-a-lifetime golf odyssey, our collection of courses and resorts offer one of the most memorable experiences available anywhere. Call 855-839-2272 for golf packages and tee times. Blackwolf Run and Whistling Straits challenge the pros while providing the amateur golfer a fair and unforgettable test. 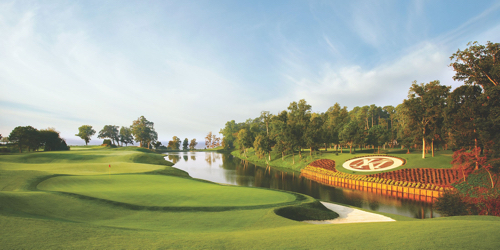 All four courses between the two venues were chosen for 2013-14 America's 100 Greatest Golf Courses by Golf Digest. Created by legendary golf course designer Pete Dye, they have hosted two PGA Championships, the Andersen Consulting World Golf Championships, a U.S. Senior Open and two U.S. Women's Opens. In 2015, The Straits at Whistling Straits will welcome the 2015 PGA Championship, and in 2020 it will host the Ryder Cup Matches. Call 888-416-4685 for tee times and golf packages. Santee is blessed to have a trifecta of great golf courses, Lake Marion, Santee National and the Santee Cooper Country Club within 5 minutes of pretty well any place in Town that you might be staying! Four more courses within about 20 minutes and another 10 or so within 45 minutes. Mountains to Midlands (M2M for short) is a partnership of 4 regions across inland South Carolina. Driven by Golf, History and Southern Hospitality! 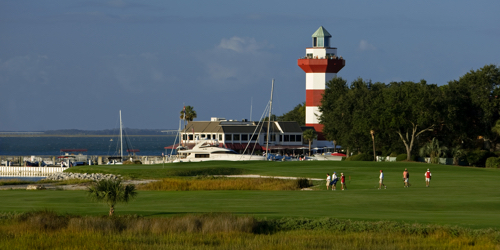 The Hilton Head Island-Bluffton area of South Carolina is home to more than 40 championship-caliber golf courses, world-class beaches and an unparalleled variety of vacation accommodations, amenities and activities. 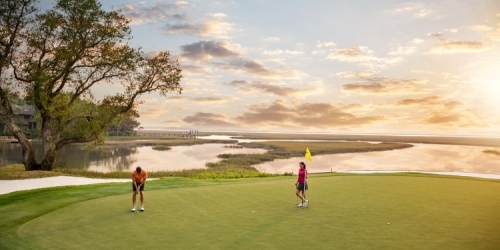 Conveniently accessible by car or by plane into the Savannah/Hilton Head International Airport, Hilton Head shines as one of the world's premier golf vacation destinations, without all the neon lights and high-rises. Book your dream golf vacation with Barefoot Golf Vacations. With access to over 90 area courses, including the Barefoot Resort courses, they offer some of the best Myrtle Beach Golf Deals in the entire area. Barefoot Golf Vacations is the "official" package company of "The Barefoot Experience" Myrtle Beach Golf Package. 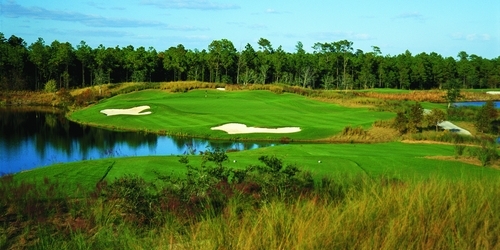 They are recognized as having one of the best all-inclusive golf packages myrtle beach has to offer. Located adjacent to the main clubhouse the "on-site" golf package company offers all types of golf packages myrtle beach including the popular Barefoot Resort Golf Packages. 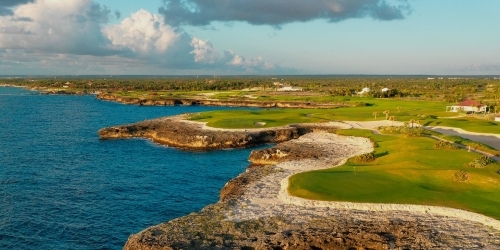 See the legendary golf trail with 468 championship holes. 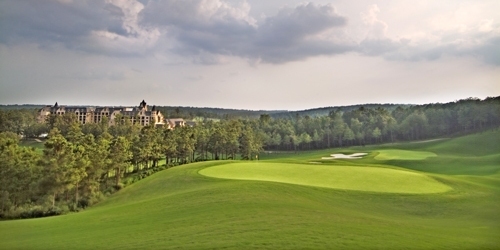 From the beginning of the Robert Trent Jones Golf Trail to the end, as well as famed and challenging courses along the coast, Alabama is a golf lover's paradise with experiences unlike any other. From Donald Ross' creation of Pinehurst No. 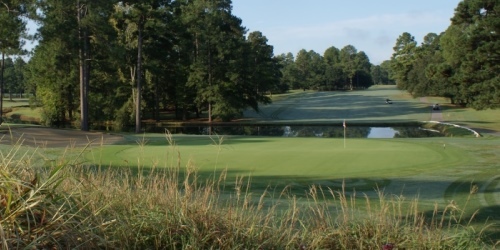 2 to Payne Stewart's legendary putt to win the 1999 US Open Championship, the Pinehurst, Southern Pines, Aberdeen Area has a storied legacy of golf unlike any other place in the country. Here, you'll find North Carolina's best golf courses, incredible outdoor adventures, world-class dining and shopping, beautiful equestrian facilities, and more. Omni Amelia Island Plantation boasts 18 holes of championship golf that have received numerous awards and distinctions, including being recognized as a "Silver Medal Golf Resort" by Golf Magazine, one of "America's Top 75 Golf Resorts" by Golf Digest, one of "Florida's 50 Finest Courses" by Travel and Leisure Golf and an Audubon Cooperative Sanctuary System by Audubon International. With two renowned 18-hole golf courses, a celebrated golf academy, and year-round golf schools, Kingsmill Resort offers the exciting variety and challenge you want to take your game to the next level. And with four eclectic dining venues, a relaxing spa, fitness center, first-class amenities and activities, and a range of AAA Four Diamond Condominium Resort accommodations that far exceed a typical hotel, we'll elevate your entire vacation experience, too. Omni Barton Creek will re-open to the public this May after an extensive renovation project. All four courses are currently open! Looking for the perfect destination for your next golf escape? Look no further than Austin's Texas Hill Country, a seemingly endless oasis of rolling hills, mature trees and refreshing lakes. Offering four courses set against the hill country backdrop, the luxurious Omni Barton Creek Resort & Spa is a premiere place to test your game. Spend the afternoon experiencing the signature Fazio Foothills, the impressive Fazio Canyons, the stunning Crenshaw Cliffside or the secluded Palmer Lakeside course. Then come inside to enjoy countless amenities, including the relaxing Three Springs Spa, a plethora of dining options and much more. Nestled at the base of the magnificent Sandia Mountains, our 18-hole, Scott Miller-designed championship golf course offers 7,772 yards of grassy knolls, sparkling waterfalls and lush native landscapes designed to challenge beginners and professional golfers alike. The longest golf course in New Mexico, our renowned course has been recognized with numerous awards, include being named the 2005 Development of the Year by Golf Inc. and one of the "Top 25 Casino Golf Courses in America" by Golfweek. GolfTroop specializes in golf packages in Scottsdale/Phoenix, Tucson and Palm Springs. Let a GolfTroop specialist build you a custom quote to get you to an amazing golf destination. Revered as Scottsdale's crown jewel, the challenge, visual sensation, and special ambiance of Troon North sets the standard by which all other courses are measured in the Scottsdale area. The immaculately groomed fairways, bentgrass greens and exceptional customer service create the renowned Troon Golf Experience. Troon North's Monument and Pinnacle courses consistently rank at the top of every golfer's must-play list. The very definition of Las Vegas luxury, JW Marriott Las Vegas Resort & Spa is one of the city's most extraordinary hotels. Situated among Southern Nevada's most prestigious golf courses, our resort boasts 50 acres of lush gardens and a resort-style pool complete with flowing waterfalls and bubbling whirlpools. Stay and play packages available with TPC Las Vegas. 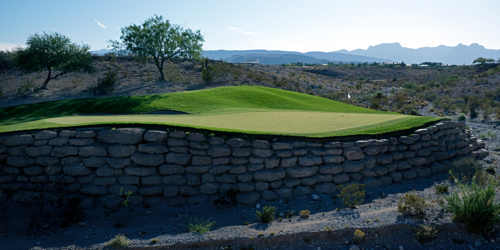 Located just 90 minutes northeast of Las Vegas on I-15, St. George Utah is a golfer's paradise. 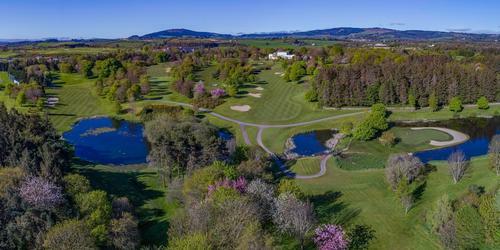 Whether an advanced player or just getting started in the sport, we have the golf course for you! With 11 courses in a 40 minute radius, it's simple to book your hotel room and spend the rest of your vacation driving on the golf course!